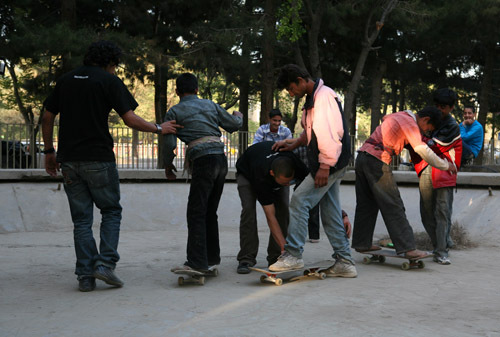 THE Afghan Skate School. 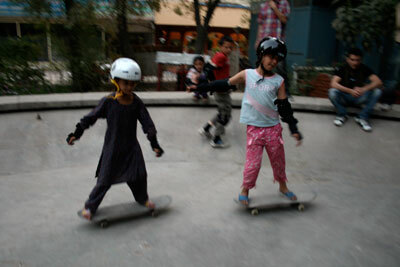 Skateistan is the fist skateboarding school in Afghanistan that is dedicated and designed to teach both males and females. 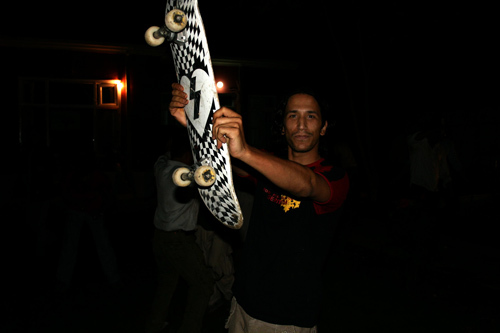 The focus isn’t going to be on just skateboarding lessons, the focus is to also teach skateboard project management, life skills, English, and to empower leadership in Afghan youth, where the youth has interest. 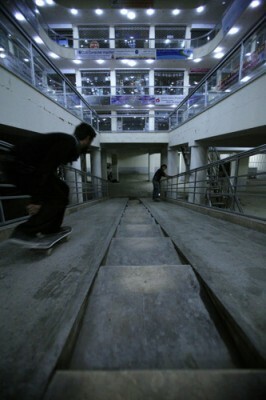 The first project is an indoor skate park in Kabul, with both indoor and outdoor sections. 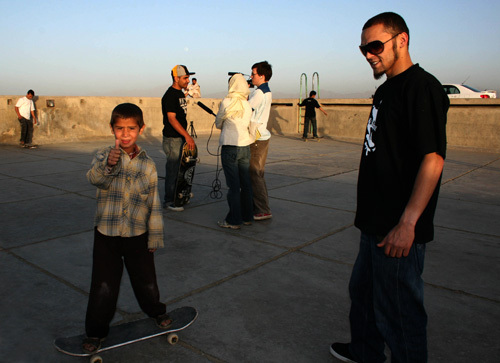 Created by Oliver Percovich(director), Sharna Nolan(advisor), and Travis Beard(logistics), upon setting boards down in Kabul, they were swamped by kids just dying to learn, begging to teach them how to skate. So they began to. Read more about their story here. And if you are interested in helping out in some way, they have a list of ways to do so. 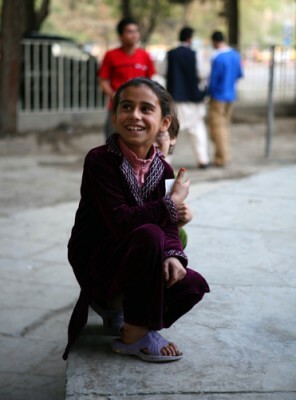 I’m so inspired by their hard work to help, educate, and break down barriers. Just blowing some free time on Stumbleupon and I found your post . Not typically what I like to learn about, but it was definitely worth my time. Thanks. Amazing! It’s like you read my mind! You seem to know so much about this, like you wrote the book in it or something. I think that you could do with some pictures to drive the content home a bit, but other than that, this is great blog post. A good read. I will certainly revisit again. Considerably, the publish is in actuality the best on this worthw hile topic. I concur with your conclusions and can eagerly look ahead to your coming updates. Just saying thanks won’t just be ample, for the fantasti c readability in your writing. I will instantly grab your rss feed to remain privy of any updates. Good work and far success in what you are promoting endeavors! Oh boy! It is like you understand my mind! You seem to know a lot about this, just like you wrote the book in it or something. I think that you could do with some pics to drive the message home a bit, but other than that, this is helpful blog post. A great read. I’ll certainly be back. I guess you have produced some rather fascinating points. Not as well many ppl would actually think about this the direction you just did. I am truly impressed that there is so much about this subject that has been revealed and you made it so nicely, with so considerably class. Excellent one, man! Very fantastic things right here. Thanks for this post, helped me with some research. As a roofing contractor I really like the post, Thanks again! You wrote great post. I like your blog it contains very informative article I will share it with my friends. they also roofing contractors Thanks!